Integration of Master Data Management (MDM) and big data analytics shows a promising future and a bi-directional relationship with potential business cases. In our earlier blog post, we have shown how organizations can realize the potential of integrating two powerful domains. The use cases include big data feeds ensuring data completeness, new master data attributes, and identifying cross-selling opportunities; whereas the MDM interplay enables data facilitation, structure and trustworthiness, and a powerful proof-of-concept. Many organizations have realized that the business benefits from big data initiatives are multi-fold. Capturing these benefits starts with addressing the key challenges. Therefore, from our intense experience of data management projects, we have gathered critical concerns that organizations should focus on to get the most out of big data initiatives. Integration of big data analytics and MDM is not technologically mature yet, but in addition to the technological barriers, organizations should carefully assess the return on investment and challenges associated with this opportunity. 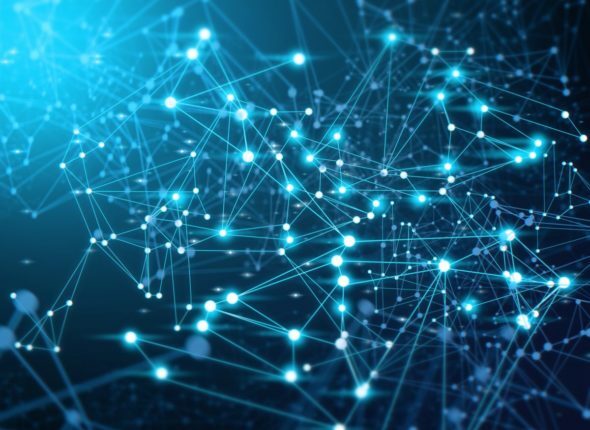 New C-suite executives: Driving and implementing data initiatives with advanced technological capabilities will not only require data scientists and analysts, but also the commitment and inclusion of C-suite executives. Higher integration across teams: Is master data governance capable of integrating big data initiatives? Probably not. Organizations will have to enhance collaboration across teams to reap the business value by combining efforts. Data ownership challenge: Organizations generate massive amounts of data, which is spread across different repositories and owned by several people. In joint initiatives for MDM and big data analytics, it will thus be critical to identify who owns which data, who produces which data for what reason, and who can access the data. Data integrity: Master data governance needs and engagement are different from those of big data governance. Thus, organizations will need a robust framework to ensure data integrity. Furthermore, new governance roles such as data governance lead, business data stewards, IT data stewards, and data modeler will become necessary to manage big data and MDM initiatives across the enterprise. Data security: Companies are facing pressure to protect information concerning customers and other sensitive data. An increasing number of cybercrimes are associated with malicious insiders. Thus, data privacy and security are among the top concerns in data initiatives. Higher risks of compliance: With increasing stringent data regulations, the compliance efforts and pressure on company’s data infrastructure have also increased tremendously. Therefore, the organizations will need systems that will ensure accuracy and consistency in the way data is extracted, stored, maintained, generated, and reported. For organizations to remain competitive it is critical to consider the aforementioned challenges and identify pre-requisites. We urge companies to take a well-informed and collaborative approach before investing in initiatives for the integration of big data analytics and MDM. 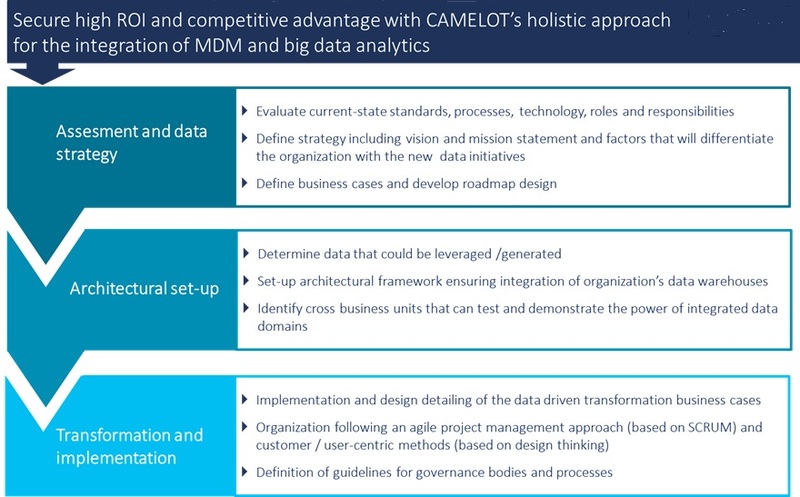 How can CAMELOT help you reap the benefits of the integration of big data analytics and MDM? With more than two decades of expertise in master data and enterprise information management, CAMELOT is helping clients reap the full benefits of data initiatives from strategy to implementation. Our approach (see illustration below) helps clients understand the ROI on integration of big data analytics and MDM, identify business cases that fit their strategic needs, develop appropriate governance frameworks, and realize the implementation cost effectively. CAMELOT’s holistic approach and customization to customer needs make it the preferred partner for enterprise information management solutions. Get in touch with us to find out how your business can reap the full potential of data trends. International expert for data strategy and cutting edge technology solutions.